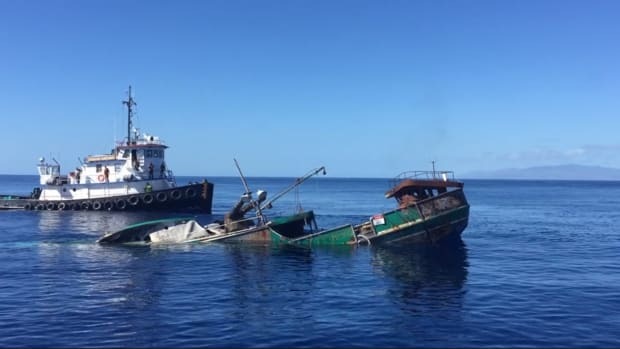 The Coast Guard’s preliminary investigation is focusing on whether the Serena III struck the bottom as it left Port Everglades. 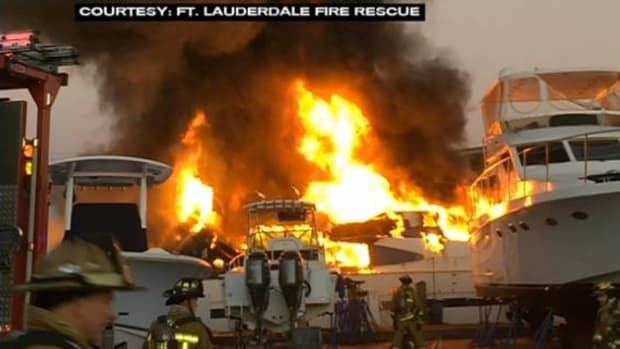 Thirteen people were rescued from a 106-foot yacht that sank Monday evening in the waters off Fort Lauderdale. 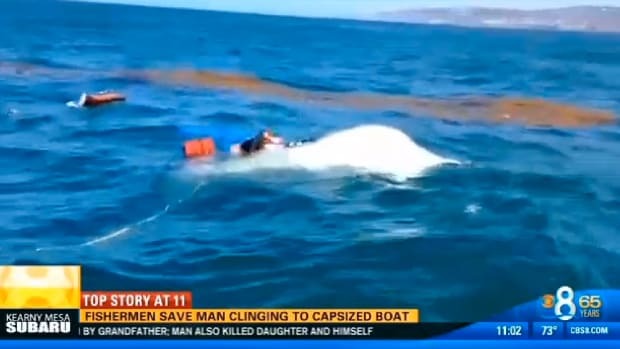 A family of six from Brazil, who owned the yacht, and six crewmembers were rescued and were not injured. 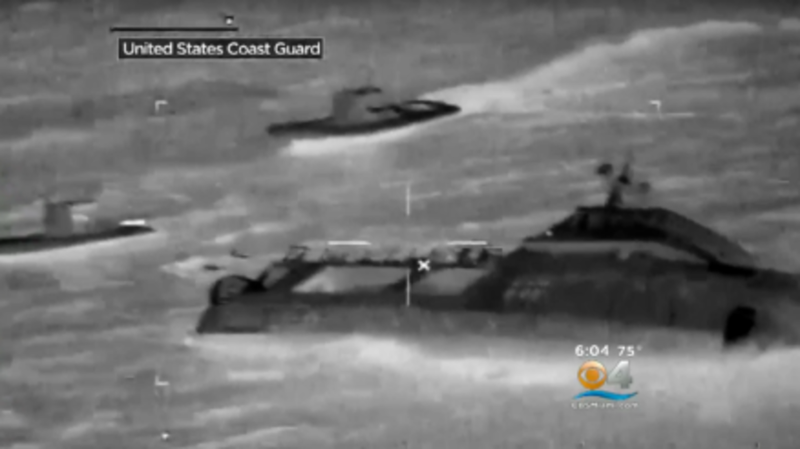 “There may have been a possible grounding on the way out of Port Everglades and it wasn’t noticed until they were further offshore,” Coast Guard Lt. Tasha Sadowicz said. Investigators are checking to see whether a shaft that attaches from inside the boat to a stabilizer on the bottom fell out. 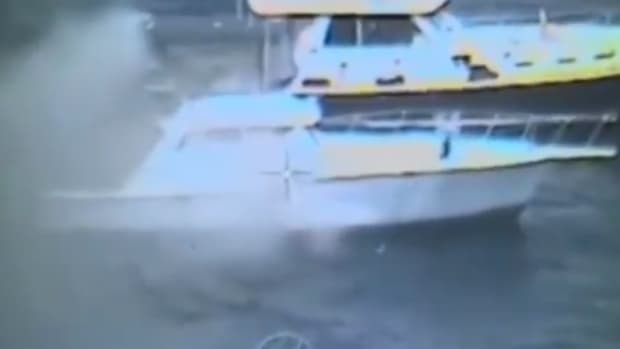 “If that had actually dropped out through the hull, that’s going to leave a hole, 6 to 8 inches, and start flooding,” Sea Tow Capt. Tim Morgan told CBS Miami. 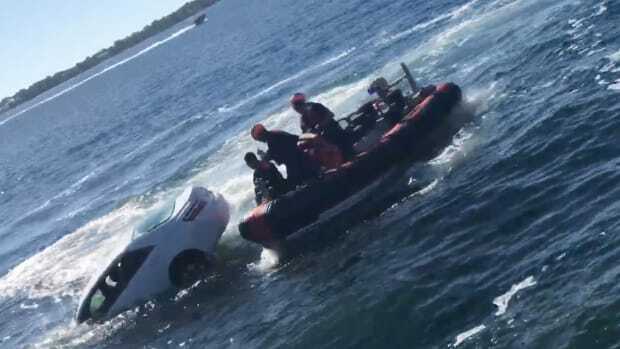 Six passengers — including registered owner Richard Paul Matheson of Brazil — six crewmembers and the captain were rescued without injury by the Coast Guard and taken to its Miami Beach base aboard a cutter, the Sun-Sentinel reported. The yacht’s port of call was listed as Rio de Janeiro. 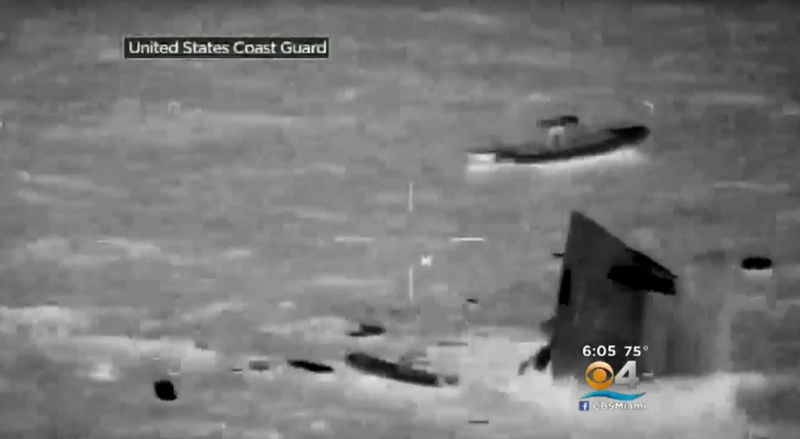 “About 25 minutes after the last person was taken off the vessel is when the vessel completely sunk,” Coast Guard Petty Officer Jon-Paul Rios told the newspaper. 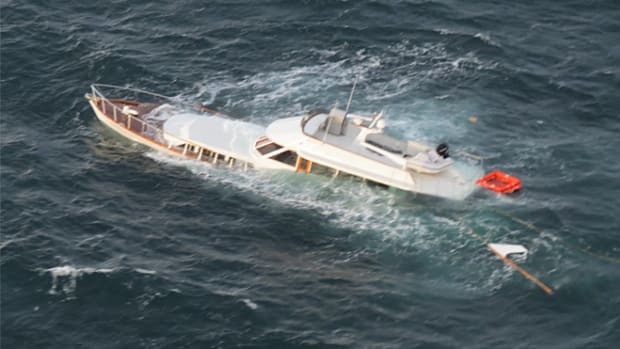 The 4-year-old custom-built yacht sank in about 1,200 feet of “deep, unrecoverable water,” where it will remain, Morgan said. He estimated the vessel’s value at $10 million to $15 million. The Serena III was on its way to Freeport, Bahamas, on a monthlong trip when she went down, CBS reported. “We were going to the Bahamas to enjoy ourselves. 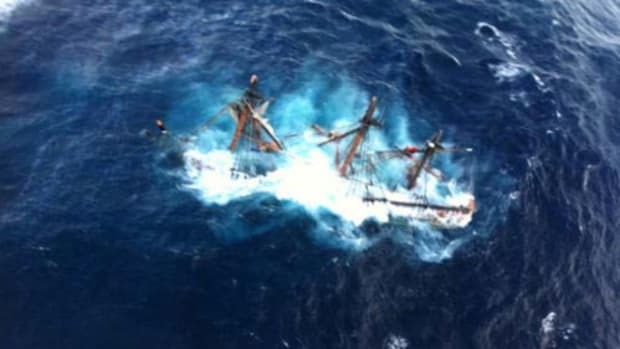 It’s a pity because I was looking forward to doing this one,” said the yacht’s first officer, Perry Thomas. The yacht had spent the past two years in Europe. It crossed to Fort Lauderdale in January. Thomas said the six passengers were a family from Rio de Janeiro. He said that about 6 p.m. they noticed they were in trouble. 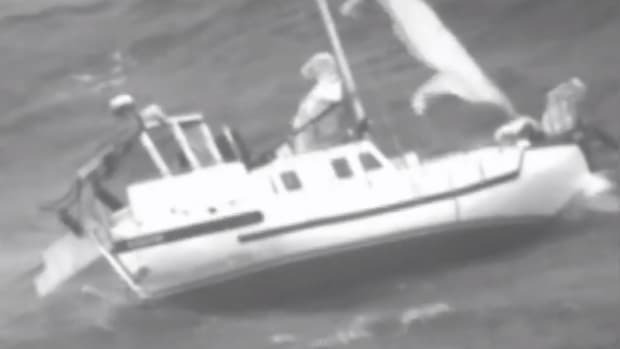 Video from the Coast Guard shows the final 10 minutes or so as the yacht tilted, bow-up, and sank. 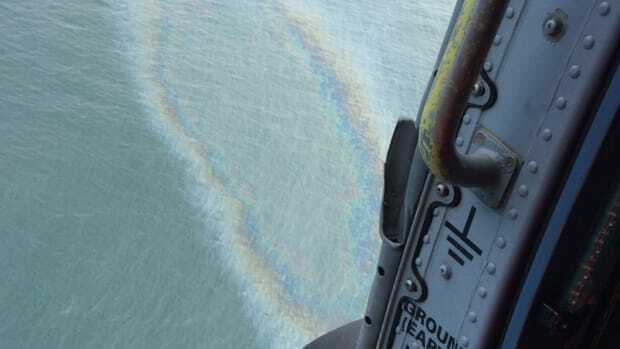 “We had eight pumps ready to deploy. I even think if we got those going it wouldn’t have mattered,” Morgan said. A last glimpse of the hull as the yacht disappears below the waves.